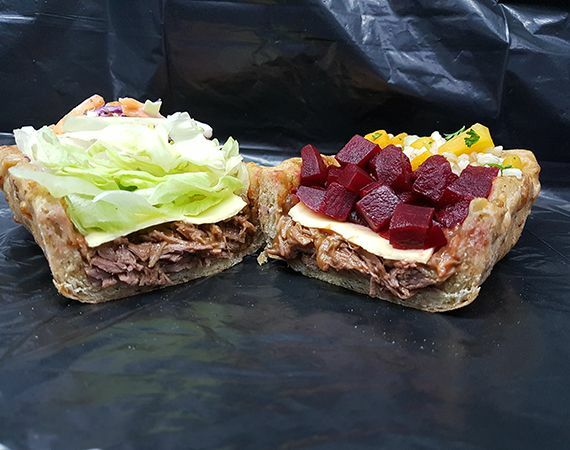 Pulled Roast with Salads in our unique Bread Cradle! Weddings, Birthdays, Corporate, any fun event! We make our own fresh salads! Brown Rice Salad with Sweet Potato, Zucchini, Pepitas, parsley, salt, pepper and a dash of Olive oil. Pickup "Self Serve Kit" Same Food, save the cost of staff! "Set up and Go" Same Food, Pulled Roasts, salads prepped, buffet set up. You Self Serve. Pick any one roast from Beef, Pork or Chicken. Any 2 roasts add 50c per head, any 3 add $1.00 per head. Minimum order is 15 Large Rolls. Free Tip! “Pick ups” and “Set up and Go" have the advantage of serving when you are ready, great at casual functions. The Roast stays beautifully hot for at least 2 hours from pick up. 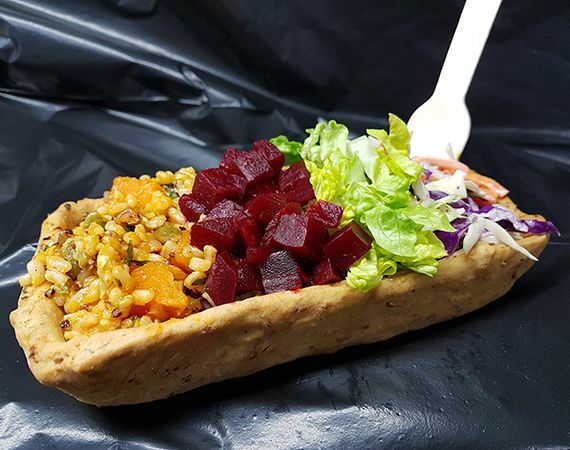 Salads are made freshly by us and supplied in disposable Salad Trays. Good Quality Disposable Salad Servers, Tongs and Ladel are included! At “Fully Catered” functions our staff must set up at your nominated time. The more people attending your function the more variety of roasts are available at additional cost.